Tex-Mex/Mexican food is one of my favorite things to eat. 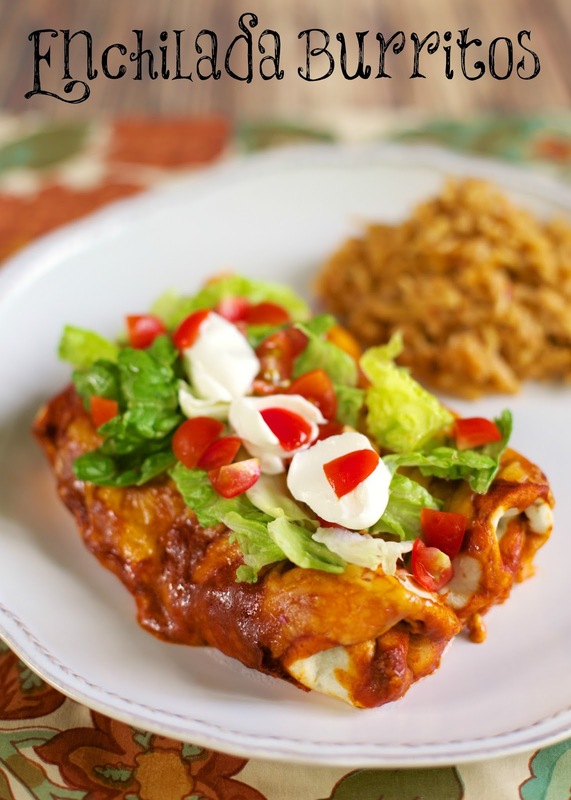 I just love it and these Enchilada Burritos are no exception. I made some quick burritos and topped them with enchilada sauce instead of leaving them naked. They were great! This can be assembled ahead of time and even frozen until you are ready to bake them. We loved all the flavors in this dish! I served this with some Mexican rice and Baked Refried Beans for a weeknight fiesta! Cook beef in large skillet over medium high heat until meat is browned, stirring until crumbled; drain fat and return to skillet. Stir taco seasoning, water and Rotel in to beef. Cook 10 minutes. Spread approximately 1/4 cup meat mixture onto each tortilla; top with 2 Tbsp cheese. Roll up tortillas, place, seam side down, into 9x13 pan. Repeat with remaining tortillas. Pour enchilada sauce over tortillas. Sprinkle with remaining cheese. Bake at 350 for 20 minutes. Serve with sour cream, lettuce and tomatoes. So, I'm an old fashioned-ish kinda gal, especially when it comes to family. We are a dinner at the table, together, kinda family. That's the way I was raised. Dinner time is family time. I have two 10 year olds and a 5 year old. One week I decided to make things a little more interesting, and took my family to "visit" other countries by way of cooking different cuisine through out the week. We did Italy, Greece, Chinese, etc. And of course we couldn't leave out our favorite, Mexico! 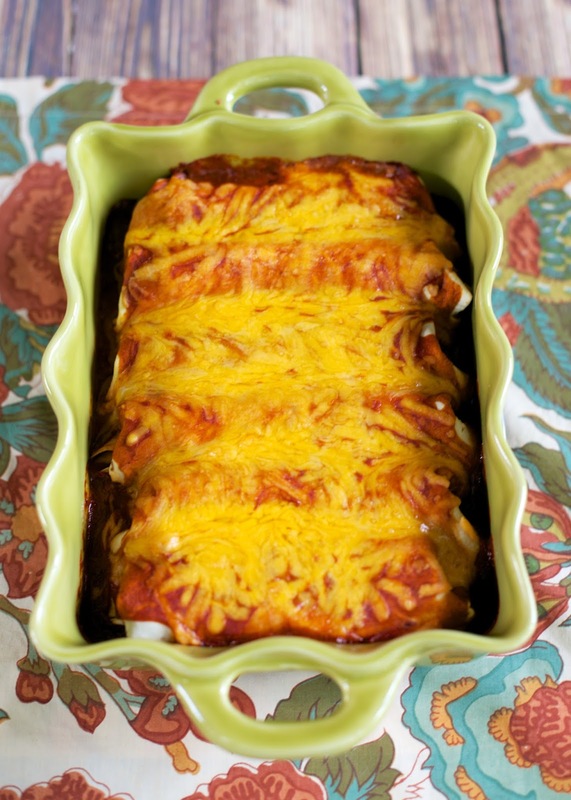 I couldn't decided if I wanted Enchiladas or Burritos, so I was super excited when I found this recipe! I could have BOTH!! So this is what I made for Mexican night, served with a side of Mexican rice. My family LOVED it, as did I. It's so incredibly yummy, and incredibly easy too. I will definitely be making this again and again. Oh, and by the way, the "visiting" other countries idea went over very well too, and struck up some interesting conversation that everyone could contribute to.